Warlight is set in the decade after World War II and is the story of fourteen-year-old Nathaniel and his older sister, Rachel. In 1945 they stay behind in London when their parents move to Singapore, leaving them in the care of a mysterious figure named The Moth. Fourteen years later Nathaniel begins to uncover what he didn’t know and didn’t understand about that time in his childhood. This is one that is definitely going to get my attention later this year. Article: What do Americans consider a good read? As a staunch advocate of the public library ethos, any article about such places is sure to get my interest. On the LitHub site, Emily Temple posted a list of the 12 most popular libraries in the world. No surprises about which were included since in the main they were the national libraries in capital cities. What got my heart racing were the photos more than the stats. I look at these places and drool. And I compare them with the building that is in the capital city of my own country, Wales. It was opened in 2009 to much applause about its architectural and environmental credentials which include a sedum roof. The coloured glass facade does look attractive but the interior is nothing special. And sadly, after only 9 years its function as a library is being diminished. One floor is closed and half of another is given over to a drop in centre for council services. How long before all of it goes???? Some weeks seem to pass without any noteworthy events or developments. And others are full of them. Last week fell into the latter category for me. This week I posted my 500th post on this site; not bad going considering that when I posted my first item four years ago I really had no idea what I was doing (I know a little more now but still feel I’m in the learner category). Many people have said that a blog site is a bit like having a puppy for Christmas – it’s all wonderfully new at the beginning and then as the weeks go buy you realise just how much hard work it involves. Blog sites, like puppies, do need feeding and maintenance and a bit of TLC from time to time. Never did I envisage how much time could be absorbed just on the maintenance side of the blog let alone creating new content… But hey, I made it! Another cause for celebration was that this week marked by 32nd wedding anniversary. We celebrated by going to the cinema to watch the live broadcast from London of Benedict Cumberbatch in Hamlet. This is not my favourite Shakespeare play by a long way – I find Hamlet a most irritating character (on a par with that other fictional ditherer Jude the Obscure). But Cumberbatch’s performance was stunning; delivering the most athletic version of Hamlet I’ve ever seen and far superior to the Mark Rylance performance I saw many years ago). The production values were extremely high (as you’d expect from the National Theatre) but the set was the most enormous I think I have ever seen. A truly memorable evening. A milestone of entirely different nature happened on Tuesday when I got to have my day in court in the campaign to save our local library from closure. It was the culmination of 13 months of effort with some intense work load in the last four months, poring over documents from our local council, gathering witness statements and evidence and responding to claims and counter claims. As a journalist I attended hundreds of court sessions but never one like this where there were no witnesses or cross examinations, just the legal teams fighting it out and quoting legal precedents to back up their arguments with the judge interjecting when she disagreed with their comments or reprimanding them when they stepped outside the law. Now we’re in limbo until the High Court Judge makes her ruling. Next week looks a little quieter – maybe I will even get a chance to catch up on some reviews. How has your week been? Any significant milestones achieved? 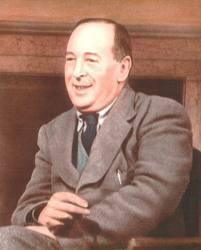 Writing of his early years C. Lewis reflected on the importance books played in his childhood. While we only had a fraction of that number of volumes in my own home, books were a key part of my childhood too though mostly obtained by weekly visits to the local library. You could say I am a product of dusty shelves and wooden floors, of sunlit corners and dark secret recesses, of clunking radiators and tiny cardboard tickets. Much of the last week has been spent in fighting proposals to turn our local branch library from a professionally run service to one that is operated or maybe even managed completely by volunteers. We first heard there were changes in the wind in April but at that point our branch was save apart from a few reduced opening hours. Without warning in August that changed and suddenly our local library was slated for downgrading so our local authority can fill a £32M funding gap over the next three years. We were promised these were just proposals and no decisions had been taken. 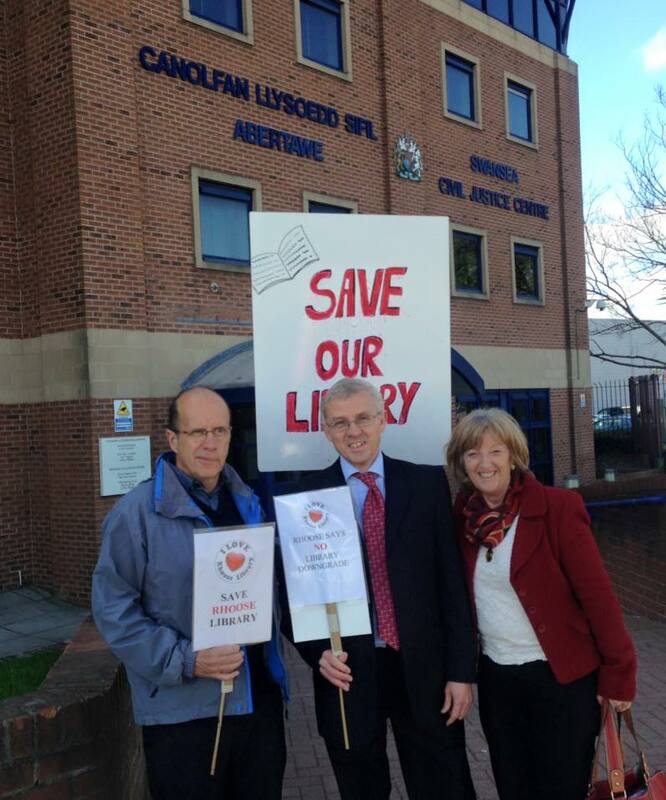 Further statements were made that “our intention is not to close libraries”. Well, guess what, when the consultation document came out this week the first question was ‘woul d you support community led libraries as an alternative to their closure?’ What a biased question and one that is impossible to answer without giving the council what we now believe the want – a mandate to close libraries yet masquerading this as being what their citizens want. A local protest group has now been formed and I’ve found my evenings and the weekend rapidly developing campaign posters, putting an action plan together, contacting the media etc. Problem is that this is happening all over the country as councils see a diminishment of the public library service as a relatively easy way to cut costs; much less emotive than closing a school or a day care centre for the elderly. Anyone who has a household budget understands the challenge of having to make savings. We’re not stupid in thinking that the local authority is any different and can suddenly magic up more money but the approach they are taking is very short sighted. What doesn’t seem to be really under consideration is the long term impact on literacy and on elderly people who live alone and use a trip to the library as a way to keep in touch with people. If we were asked to volunteer to help the existing librarians, to run reading groups for children or restock the shelves etc, there would be plenty of people coming forward. But few people are willing to do this and see librarians lose their jobs as a result. This is something that warrants a considered debate not simply a checkbox questionnaire. I was hoping this year wouldn’t turn out to be another black one for the public library service in the UK but the signs are not looking good. What’s happening in Wales is happening elsewhere across the UK. According to the Library Campaign, the number of libraries has fallen by almost a quarter since 2009. They predict the trend will continue with the closure of a further 400 branches by 2016 with services in rural and deprived urban areas most at risk. How serious things will be this year we will find out over the next few weeks. Local politicians up and down the UK are currently wrestling with the annual challenge of setting their budgets and trying to get them finalised by the end of February. As always, those discussions involve tough decisions since there’s never enough money for everything that politicians, administrators and Joe Public believe needs to be funded. Do they put your money into improving schools or improving transport so people find work more easily? Do they recruit more social workers to care and protect vulnerable people or more environmental health officers to prevent pollution and waste? Difficult choices to face when you know the consequences of your decisions will materially impact people’s lives. The meaning of those words is open to interpretation — efficiency you can measure but what I think constitutes comprehensive might be different to your version. It clearly doesn’t extend to saying that every town or every village should have a library or that the building should be open 7 days a week. Does it mean each householder has the right to a library within a specific distance from their home? Or that there should be one library per x thousand of residents. The act doesn’t provide the library service with immunity from closure — the council simply has to demonstrate they conducted a full evaluation of the impact and held public consultation before reaching a decision. There was in fact a landmark ruling last year when the High Court found in favour of local citizens because Gloucester and Somerset councils didn’t do enough in the judge’s opinion to consider the disproportionately severe impact their closure plans would have on the poor, elderly and disabled. So to some extent, you can see how politicians are caught between the rock and the hard place. They have to find a solution but cutting their way through the problem isn’t the answer. In my area, the nature of the questions asked in the public consultation suggested the idea is to make libraries more of a cash-generation service rather than a cash-draining venture. Not one question asked about opening hours. Not one question about selection and range of books/DVDs etc. Not one question about the ease of finding or selecting books or of booking computers for homework, course work or finding a job. Instead many of the questions asked about changing services currently provided free, into ones for which fees would be charged. Or introducing new services but with a fee. And some ideas about ‘services’ which have absolutely nothing to do with a library. I can see the attractiveness of an on-site cafe not only as a place readers can socialise but maybe as a place to host reading clubs or other related activities. But it could only be achieved by taking up space currently used for other activities like the children’s library or the magazine reading area which is much frequented. Hence you reduce the overall value of the service provided and remove part of the reason people go to the library in the first place. Even more of a cause for concern is that this type of venture will bring a public service directly into competition with local businesses. There are at least five coffee shops and cafes within a 5 minute walk of the County Library plus another three that sell postage stamps (not including the actual Post Office). At a time when small businesses are struggling to keep their heads above water, is it really such a good idea for a public-funded body to go into competition with them? What our public library service deserves is some fresh thinking rather than half baked notions like these. You’d have thought with the wealth of business talent upon which the UK Government can draw, they could find someone who can provide a Big Idea that would both save our library system for future generations at a sustainable cost. Any ideas for who this saviour might be?